Well, I can't believe how quick Christmas and New Years came around for me it was quiet and uneventful. I ended up collecting a few sweet tubs. I hate throwing the tubs away as they make excellent storage containers, especially for baking and storing my tat. 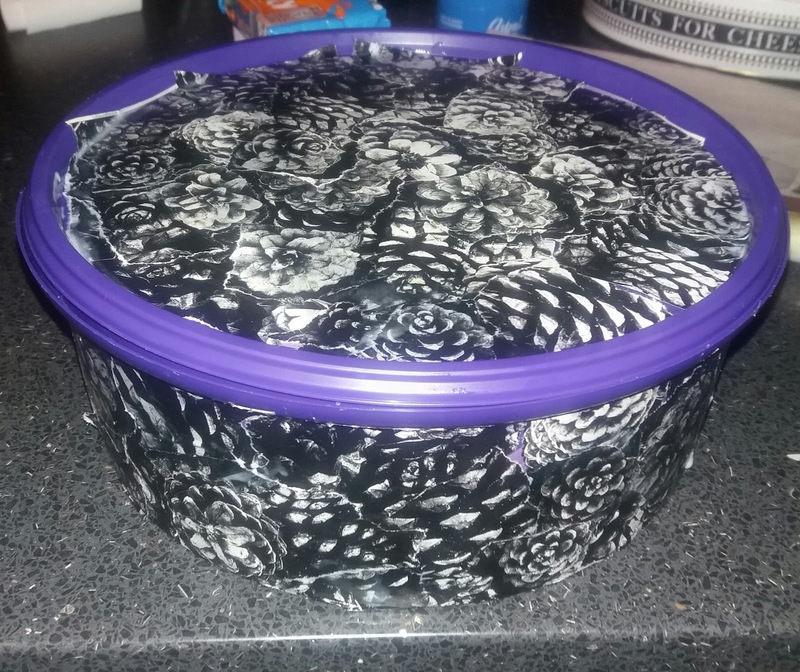 I decorated one of the tubs to store my hair accessories. I found this tutorial, on Pinterest, it's so addictive. It stimulated the creative synapses. 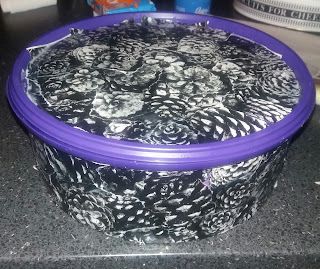 This one of the sweet tubs I decide to decoupage or the posh way of saying glueing paper on to a surface to make it look decorative. 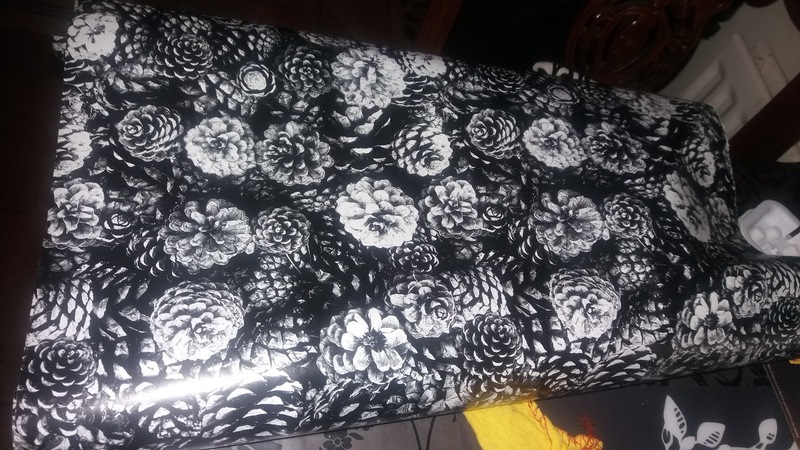 I used a black and grey print wrapping paper from Tiger to decoupage. I carefully tore the around the pine cones to retain their roundish shape. and placed them into a gloopy mixture of water and PVA glue solution ( I didn't measure it I just guess it ) I attached it to the tub. This is the tub drying. I use my handy seam raper blade to neaten the edge on the lid. I would be in trouble if my sewing tutor saw how I miss using my dressing making tools. Anyway, it works effectively leaving a neat edge. The top of the lid. I added a mixture of matt varnish, Pva glue, and water. I added a sticker ribbon around the edge and a chalk label. It contains all my tat. You know, I have never decoupaged in my life. Have I ever truly lived? I would highly recommend decoupage its such an easy craft to do attempt and a great way of upcycling. Since your retired it might be worth trying out. We always get the Quality Street at Christmas. His Lordship is saving the tin to store bits and bobs in the garage. Nice work - you did such a neat job. I would have wrinkles and loose sections. My Gran used to keep a Quality Street tin for her sewing stuff. Mam used to keep the tubs for my sister to keep them to store our arts and craft stuff in. I've seemed to have found my skills for decoupage. I've used for so many things.I think its just a lot of practice. I love reusing things, especially when you get the chance to make them pretty as well. Good job! Thanks Yeah I totally agree. I love re-using everything and anything. When you can make them pretty, it's even more satisfying. environmentally friendly crafting is the best! I'm with you there. I love crafting especially, if its cheap and environmentally friendly. This is really neat, I need to try it! Go for it. It would be cool to see it. Turned out great! 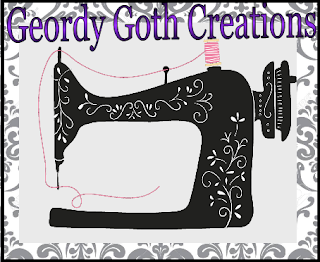 I love this craft project, saves on putting garbage into the land fill! Thanks. I love crafts that can prevent usable items from landfill. I love decoupage its such easy craft, so effective. You are Amazing at your decoration ideas dear Sarah! Oh, thanks my friend.It's very easy to do and effective. If you do have a go of this I would love to see them. Beautiful job of repurposing. I enjoy your color choices much more than the original tutorial. 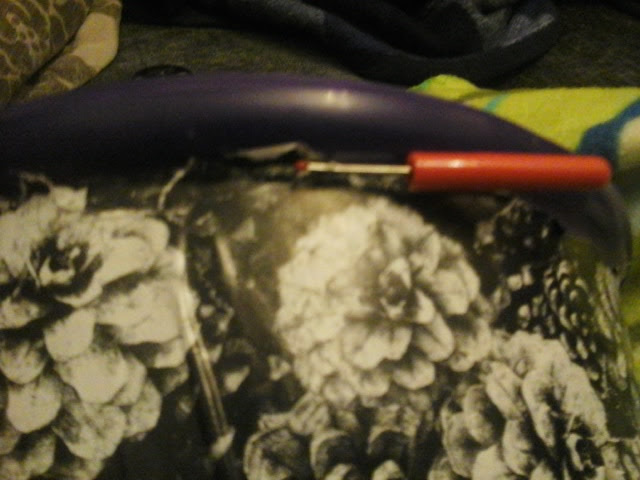 I also habitually abuse my seam ripper, it’s such a perfect little tool for so many things. I do abuse more that than my seam ripper for the jobs their not intended for. The seam ripper is a perfect little tool. I love black, grey, purple and white tones. I'm not keen on the tutorials original colors but it inspired me to make my own ideas. Lol. Ha ha ha. You might one day. You always appear to be busy with your cosplay costumes, I imagine takes a lot of your time up. 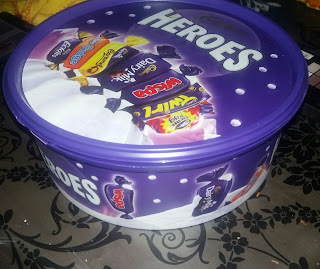 Wow now I really regret throwing away the candyboxes I had! You made your's look amazing! Thanks. Is amazing how PVA glue and a bit of paper can transform. Farewell 2017 and Hello 2018.